Its amazing how sometimes we need to take a step away to understand the important things. Nicole Topp, Naturopath, Nicole likes to keep it simple whilst making lasting changes. So I am on holidays at the moment and I have noticed something….. Im having fun! We went to a water park yesterday with the kids and I noticed that it wasn’t just the kids laughing and enjoying themselves. 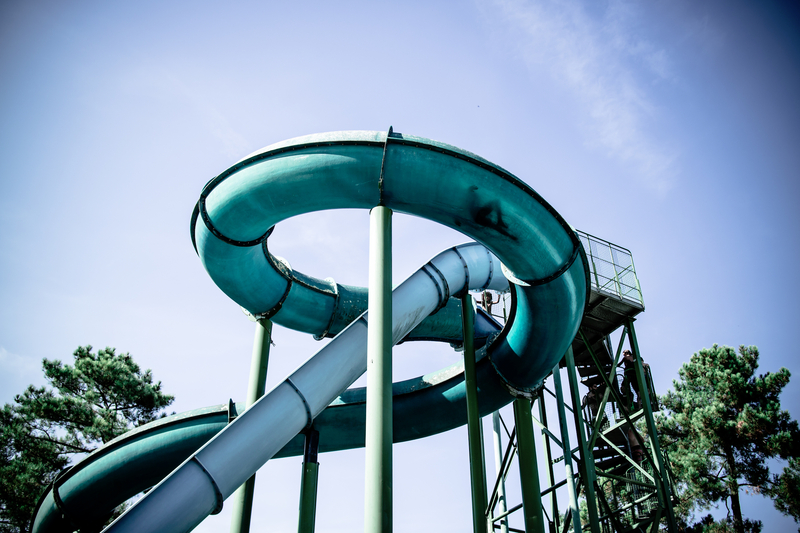 I watched as the adults faces lit up as they came off the waterslide, the look of sheer terror followed by giggles as the floor drops away and they plummeted towards the water in a semi controlled environment. The burnt off leg hair of the men as they exit a speed slide, the holes in the shorts and the tales of survival to their mates or family members. The women frantically re adjusting their bathers as they realise that perhaps a bikini and a racing slide is not the most ideal combination. Above all, there were smiles all around and it just got me thinking…..
Why do we limit our fun to special occasions? Yes, yes, adulting is hard and we have to work and we have responsibilities, but just hear me out. When was the last time you had a good belly laugh, or had a rush of adrenaline that was not work related? We get so caught up in the everyday life stuff that we forget about the things that make us happy. Finding something that brings joy to your life and perhaps enjoying more of the everyday little things. Our lives are now filled with instant gratification and we have HUGE expectations and forget to see what is right in front of us, everyday. While on holidays I have noticed that in all of the BUSY that is happening in our everyday lives, somewhere along the way we have forgotten about the joy, the fun and the laughter. Did you know that the simple act of laughing releases endorphins in the brain? This created a huge thought process on how we now communicate and how we are socially evolving. We spend more time on the computer and social media but forget to actually catch up and have a good belly laugh in person with a friend or do something fun where we do not just lol, but actually laugh out loud. For some of us, we have simply forgotten about ourselves and seem to only serve others. Some of us have such complicated and chaotic lives that we are too busy rushing around to acknowledge what we have created and what we already have. I am guilty of this and consistently have to work on being more mindful and being aware of what I am grateful for already having. Another interesting thing that I noticed was how we can overlook what is right in front of us in the pursuit for something else. A perfect example of this happened during our holiday. We arrived at this beautiful resort on the edge of a cliff and my goodness, it took our breath away. Everywhere you sat outside had a view of the ragged, tumultuous surf crashing onto the rock face of the cliff. The view was breathtaking. It was the part of the holiday where we were to relax and recharge. We had just moved from a busier part of Indonesia, where we felt it was very easy to get around and close to many facilities, this place was isolated and remote, a total change. The first two days were lovely, but knowing that we had 8 nights here, we started to get antsy. We began to discuss where else we could explore and what we could do. Day trip plans began and even a trip back to the previous busier area in order to feel like we were making the most of our travels. After 5 nights, our friends left us for the last leg of their trip and we were left alone. After another day trip we resigned to that fact that our last couple of days should be about recharging and completely relaxing. Suddenly it was as if our eyes opened up and the fog had cleared, we alternated between chilling out and walking and exploring exactly where we were. So many other possibilities and opportunities opened up. There was so much that we had not seen in our rush to “get the most out of our travels”, that we almost missed the beauty of the local village, the customs and most of all, the simplicity. Just around the bend of where we were staying was a well known temple which we had visited previously, but just around the next corner was a whole other village. It was exactly the experience we were looking for and it was right under our nose/around the corner the whole time. We just needed to take a few extra steps to get to where we wanted to be. What is right under your nose or could be right around the corner for you? A large part of the way that I practise Naturopathy does not only use evidence based Herbal and Nutritional Medicine I also take into account the way you live! Sometimes it is about exploring, getting comfortable with the uncomfortable or maybe feeling the fear and doing it anyway! Recently I wore bathers without board shorts for the first time in my life. Gosh I felt weird in the beginning, I was uncomfortable and self conscious, but I did it because it was worth the stretch, the challenge to see if I could. Do you know what? Nobody died! Nor was anyone blinded by my virgin thigh skin! So I invite you to find something that makes you laugh, challenges you or brings you joy. After all, what is it all for, if we cannot enjoy it? Nicole has been in practise for over 16 years. The birth of her children opened a whole new understanding about how we go about our full lives. She is passionate about making small lasting changes to help build the foundation of good health and offering a hand along the way. Nicole practises in a busy clinic on the Mornington Peninsula in Victoria with an excellent team of Chiropractors and a Counsellor. Nicole believes in doing the best that we can with what we have got and using evidence based Herbal Medicine and Nutrition to help when it is needed.